Looping is one of the most impressive features of Python. We can find it almost everywhere. We can loop over the built-in types such as dictionary, list, tuple, string or even custom object. For loop syntax is slightly different from many other languages. It does not require any initial value or conditional expression indicating when to stop. Instead, it gathers next element from an iterable in every loop iteration. Iterable is an object that implements the iterator protocol. It simply means that the object should be of a class that contains two magic methods: __next__() and __iter__(). - __iter__() – returns an iterator object. Usually it returns ‘self’ indicating that the class is iterable. However, it can be any other iterator (or generator). - __next__() – returns next value of an iterator. Usually it raises StopIteration exception that indicates that there is no next value and looping over the object should stop. If __iter__() returns generator, there is no need to implement this method. In the above example our ‘for’ loop invoke __iter__() method of the class when we create an object. Without this method, the TypeError exception would be raised. Then on every iteration the __next__() method will be called to get the next value. This proceeds until StopIteration is raised to indicate there is no next value. Iterators allow us to create more readable code and treat any object as iterable that can be used in a loop. Moreover, it helps us to save memory usage. Typically when we want to loop over build-in collections such as dictionary, list or tuple we need to have the whole collection in a memory, while iterators require only one element in a given iteration. To sum up, iterators should be used as a good practice to increase readability of the code and to save the memory usage. However, there is a lot of boilerplate and if there is no need to create the whole class to iterate over we should create generator instead. Generator is another Python construct that makes looping over specific elements even simpler than iterators. It is a function with a yield keyword instead of return statement. It is enough for Python interpreter to know that the function is a generator. Generators differ from ordinary functions in the way on how they work. When we invoke a function, it executes until the body ends or the return statement is met. On the other hand, if we invoke generator, we get the generator object in idle state i.e. no code is executed yet. At every iteration the code starts to execute until it meets the yield keyword. It returns the current value and become idle again. It proceeds until particular condition is met (the generator body ends without yield statement or StopIteration exception is raised). Let’s compare the conventional way of implementing the Fibonacci function and the generator one. In conclusion, a good practice is to use generators every time we want to loop over vast number of elements or resources if we want to save memory space. Moreover, we should use generators instead of iterators to reduce boilerplate if we do not need to create the whole class. Otherwise we can combine the usage of iterators and generators. Comprehension is another Python construct that allows us to create collections in a more concise way. It is driven by one of Python design principles saying that “Flat is better then nested”. We can use comprehensions for lists, sets or even dictionaries. Basically it uses generator expression to create generator object and unpack it to the collection we want to. Generator expressions are slightly different from generators. They are mostly one-line expressions with implicit yield statement e.g. As we can see it is a great way to create collections in a very concise way. Comprehensions are not limited to lists. This way we can create dictionaries and even immutable tuples. Let’s say we have a dictionary of countries population and we want to create another dictionary with countries with over 1 million population. As a result we got the dictionary where keys are actresses and values are series they played in. Comprehensions give us the possibility to create any collection from another in a very simple, concise and readable way with significant code reduction. In conclusion, it is a good practice to use comprehensions to create collections of items on-the-fly to avoid nested blocks, reduce code volume and increase its readability. With this construct we are assured that the file will have been closed before program is interrupted. Context Managers are not limited to resources. We can create custom ones. It can be done in various ways. Consider the object that is expected to perform some action at the beginning and in the end of some particular operation. When the program starts, we can see that ‘After exception’ is not printed out but ‘Exit’ is. This makes us be sure that something will be done before leaving the Context Manager block. Context Managers should be used as a good practice when we want to be ensured that something will be always done at the beginning and in the end of some operation. They are invaluable while working with resources to assure that unexpected behavior will not result in resource leak. Decorators are another Python construct. They behave like one of the design patterns with the same name. They are functions that extend functionality of another one. Python has some useful built-in decorators such as @staticmethod, @classmethod or @property but we can create a custom one. The both solutions do exactly the same but we moved the decoration where the function is implemented rather than executed. With one symbol we are able to reuse the code wherever we want to.
""" Printing fibonacci numbers """
We are getting that the name of the function is ‘inner_function’ without docstring that is not expected but in fact is true. To keep the information about the function we should always use wraps decorator from functools module. Now we keep all the original information about wrapped functions. In conclusion, good practice is to use decorators when we want to separate reusable code or extend the functionality of one function without modifying it. 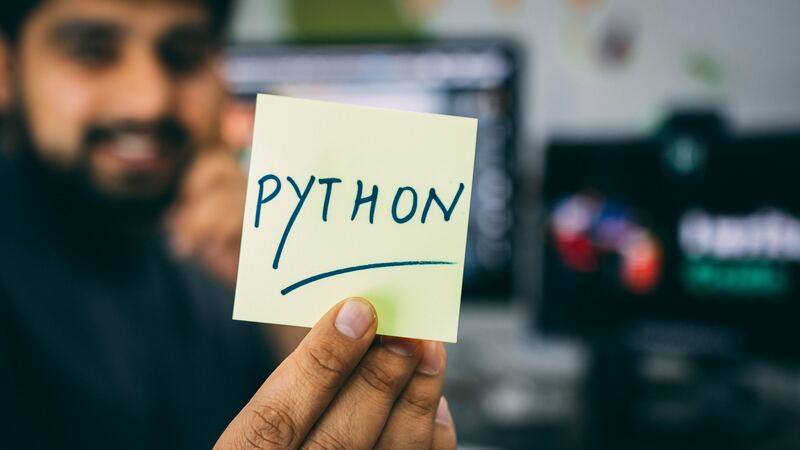 Python has many specific constructs that can make our code faster, more readable and simpler. Their usage depends on the goal we want to achieve but definitely they are a great and powerful tools to make our code better. Python is very simple and easy language but it always depends on the programmer how its code looks like.